The UEFA Control and Disciplinary Body has handed down sanctions to Real Madrid CF following incidents during their UEFA Champions League semi-final first leg. The UEFA Control and Disciplinary Body has handed down sanctions to Real Madrid CF following incidents during their UEFA Champions League semi-final first leg against FC Bayern München in the Spanish capital on 23 April. 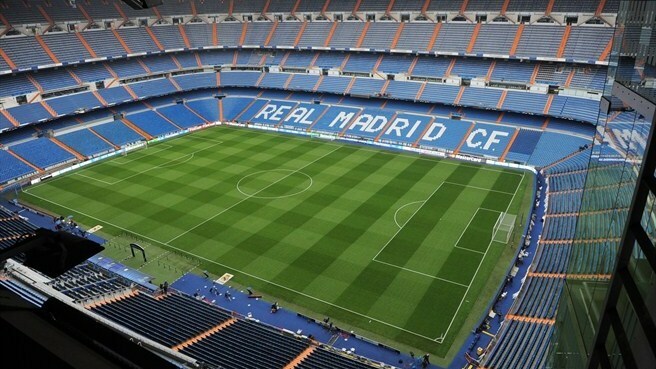 Following the charge of racist behaviour by Real Madrid supporters during the match (Article 14 of the UEFA Disciplinary Regulations), the Control and Disciplinary Body has ordered the partial closure of the Santiago Bernabéu for one match. More specifically, sectors 120 and 122 of the stadium will be closed for the club's next UEFA competition home game. Real Madrid are obliged to display a banner with the wording 'No to Racism' in those sectors. The fight against racism is a high priority for UEFA. European football's governing body has a zero-tolerance policy towards racism and discrimination, both on the pitch and in the stands. All forms of racist behaviour are considered serious offences against the disciplinary regulations and are severely punished. Following the entry into force of the new disciplinary regulations on 1 June 2013, the fight against racist conduct has been stepped up – resulting in tougher sanctions to deter any such behaviour.